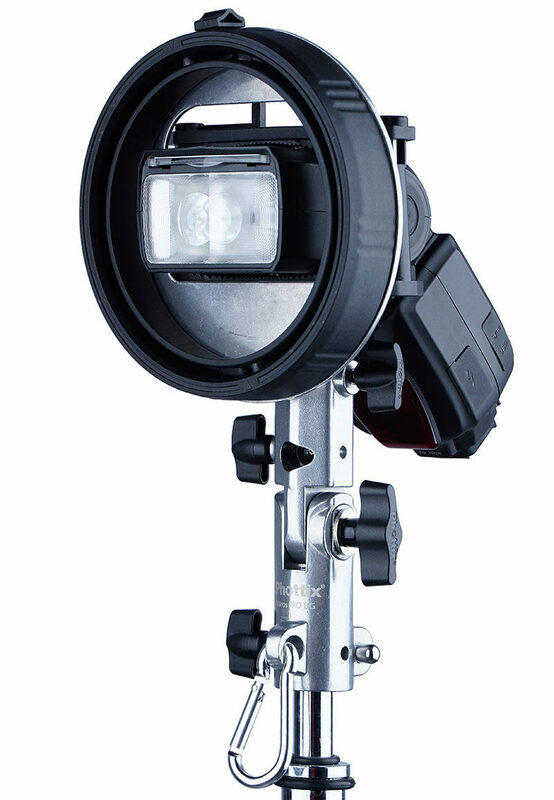 Phottix has announced that they will introduce a new speedlight mount named the Cerberus. Flash and accessory manufacturer Phottix has announced that they will introduce a new flash mount, named the Cerberus. This new adapter allows users to mount light modifiers which are normally meant for studio flashes. The name Cerberus comes from the three-headed hound of Hades from Greek mythology and is used because the Phottix Cerberus is able to mount modifiers in three different mounts. As you can see from the list above, the Phottix Cerberus gives you the possibility to use light modifiers with either Elinchrom, Bowens or Transfolder mount. 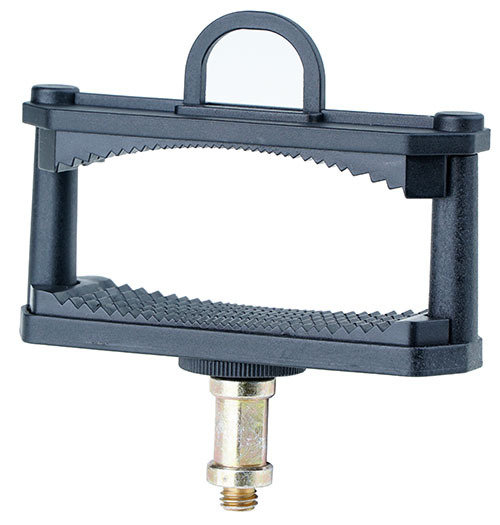 The Griffin bracket itself works by clamping the head of the flash, similarly to what the Godox S-type, albeit with one significant difference. In the Phottix bracket the speedlite remains locked in because of the tension of the spring loaded clamp, while the Godox has a screw that has to be tightened. 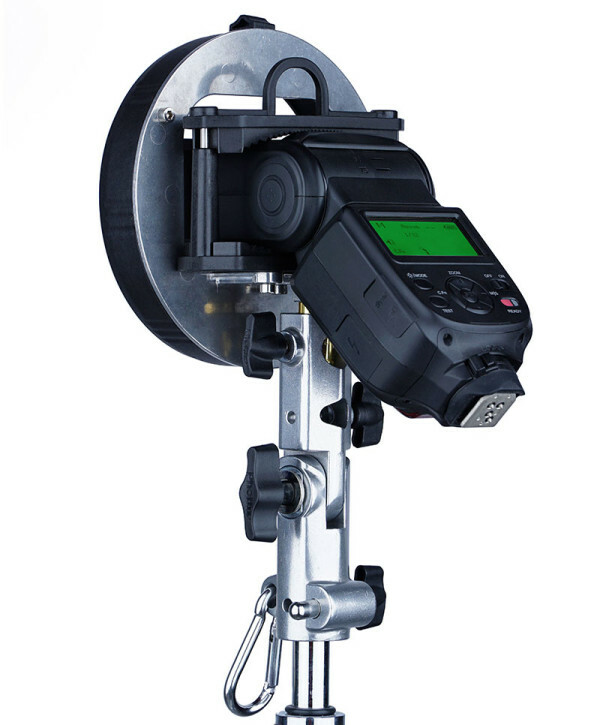 The kit, including a Phottix Varos Pro BG adapter, will cost $92.50 and is available now. For more information please visit the Phottix website.